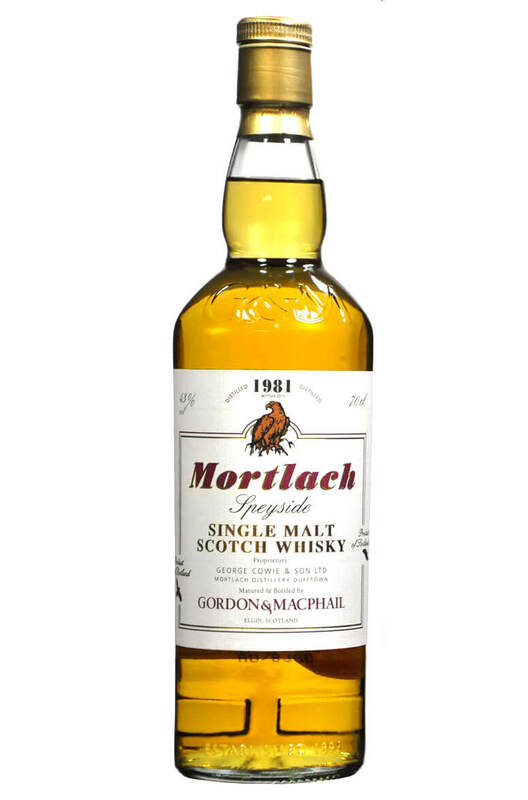 An incredible independent bottling of Mortlach. This has been entirely matured in refill Bourbon barrels and makes an excellent after dinner dram. Nose Beeswax polish, oak and vanilla aromas initially. Hints of pineapple, citrus and lime linger. Palate White pepper with grapefruit, gooseberry and ripe banana flavours. Becomes salty with a slightly nutty edge. Types of Barrel used for Aging Refill remade American ex-Bourbon hogsheads. A superb bottling of the legendary Mortlach single malt. This was distilled in 1949 and bottled in 2..